With connected devices spreading across the world, be sure your IoT products stay secure and don’t become a security risk, ESET head warns. As the world around us becomes smarter and more connected, ensuring that the Internet of Things remains safe and secure is paramount. However it seems that many of the world’s newest smart devices are rather lacking in even basic security protection, putting users at risk of attack, according to new warnings from security experts ESET. At a recent press day in the company’s hometown of Bratislava, ESET senior fellow Righard Zwienenberg highlighted the myriad of potential security issues facing the IoT. With last year’s Mirai botnet attack showing how simple it can be for attackers to hijack connected devices such as routers and webcams, securing theses devices should be your number one priority. 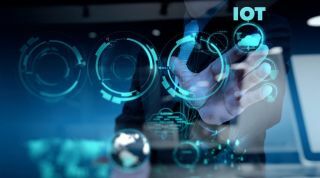 In a presentation he called “IDIOT or...The ID of IoT”, Zwienenberg noted that with billions of devices set to be connected to the IoT within the next few years, there is still a long way to go in ensuring many of these products are secured properly. "It doesn't matter if it is industrial or consumer, everything is connected through the cloud, or through software, all inter-connected...but everything gets really mixed up," he noted. "There is no separation between consumer and industrial - there are different problems, but basically everything is inter-connected." In his presentation, Zwienenberg highlighted the huge range of attacks targeting the IoT in recent years, as hackers have increasingly targeted new smart devices. Far from being a problem that just affects cheap devices with basic internet connectivity functions, IoT attacks are affecting such items as a $199 ‘smart doorbell’ or even a $32,000 Jeep Cherokee, which was the subject of a notorious viral video last year. So how can companies and consumers alike stay secure online? The steps to protection are simple enough, but often not followed, Zwienenberg notes. "You really have to take care and make sure every system is updated, if it connects to the internet,” he says, adding that users need to be aware exactly how and where their devices download the updates from. Zwienenberg also highlighted the work being done by the Alliance for Internet of Things Innovation (AIOTI), which was initiated by the European Commission in 2015 to promote security concerns for the IoT. "This thing is, every IoT system needs protecting," he notes, "but the good thing is more people have started to look into IoT hacks." “The biggest problem with the IoT is security...it’s time we aimed for a different kind of ‘T’ and create an ‘Internet of Trust’”.